Very acccomodating, clean, great sized apartmentssubmitted by LAUREN D. - Sep 30, 2015 |Recommended: YesI like it a lot. Everyone is so friendly and its very well kept. I think it is a great palace to live in.submitted by SHAYEA A. - Sep 28, 2015 |Recommended: YesI will recommend this place. response from property - Sep 22, 2015 Thank you for sharing your review of Dolley Madison Towers, we're happy to hear you have enjoyed your RentDittmar.com community! Great location, spacious apartments, wonderful staff, amenities galoresubmitted by MATTHEW L. - Sep 01, 2015 |Recommended: YesMy roommates and I were looking for a new apartment to live in within the Arlington DC area and we came across an ad online for the DMT. We had several important conditions for the type of apartment we were looking for, and the Towers met every one of them. We were able to rent a three bedroom, three bathroom apartment with a large living room and huge balcony space which was great. While situated next to the busy highway, the rooms were almost soundproof from the outside noise. We also had no trouble with sound traveling through the building itself from neighboring units. The appliances were up-to-date and in great condition, though we would have a preferred a gas stove over an electric one, and all the facilities are well maintained and clean. Plenty of amenities are included in the rent including a pool, business center, workout room, game room, theater, and rec room which can be reserved for special events. Staff are very friendly and helpful. The only downside is the small number of parking spaces for guests, and the required 5 parking pass after 6PM for any overnight guest parking. Overall, I would recommend this place to anyone looking for a clean, friendly, well maintained apartment driving distance from DC, Pentagon City, and Arlington. Excellentsubmitted by JOHN H. - Aug 11, 2015 |Recommended: YesI think the property is very well kept and the staff selects quality people to live here. response from property - Aug 13, 2015 Thank you for sharing your review of Dolley Madison Towers and for choosing a RentDittmar.com community as your home. Nice for the pricesubmitted by CRYSTAL J. - Aug 06, 2015 |Recommended: YesPros- During the winter, Dolley Madison Towers usually offers two months free and it is prorated over the course of your 12 month lease. This means for the past year and half that I have been at the complex that my rent has been relatively cheaper than most people's rent in this area for the same amount of space and amenities. The 24-hour concierge and security is convenient and comforting. Maintenance is punctual and efficient. The decor and private parking in the garage is a huge plus Cons- Guest parking is TERRIBLE. You definitely want to pay to have a private spot in the garage because the open parking is very limited. Also, the parking hours for guests is ridiculous. Overnight parking is 5 daily and you have the get a new pass for the daytime. Even though it is free, it is a pain having to change it twice a day if you have a guest over several days in a row. Considering how much rent is, guest parking should be free. The apartments are also fairly small, but I guess that is expected from a city apartment. I have noisy neighbors too. It is usually the kids who are pretty loud. response from property - Aug 13, 2015 Thank you for sharing your review of Dolley Madison Towers. With your constructive feedback we are able to make adjustments so that we can continue to provide you with a quality living experience at a RentDittmar.com community. I enjoy my experience living at Dolley Madisonsubmitted by TIJUANA S. - Jul 30, 2015 |Recommended: YesStaff is professional and friendly. Great time living at Dolley Madisonsubmitted by COLIN S. - Jul 04, 2015 |Recommended: YesThe apartment is cozy and great for the price, and in a great area with a lot going on. response from property - Jul 10, 2015 Thank you for sharing your review of Dolley Madison Towers and for choosing a Rent Dittmar community. Overall Great Experiencesubmitted by JENNIFER M. - Jul 03, 2015 |Recommended: YesGreat property. Pleasant community of people overall and the staff is very accommodating. Samreen and Art security are fantastic assets to the quality of living. Well secured property and constructed well which makes a low-noise environment for an apartment complex . Appears that the property management deals quickly with tenants who tend to create issues break standards of living. 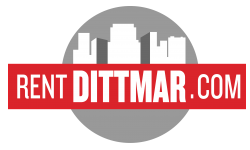 response from property - Jul 10, 2015 Thank you for sharing your review of Dolley Madison Towers and for choosing a Rent Dittmar community for your home. response from property - Jul 10, 2015 Thank you for sharing your review of Dolley Madison Towers! Best place to live submitted by BIBINUER B. - Jun 21, 2015 |Recommended: YesIt's very clean apt. Staffs are very helpful. Defiantly a best place to live. Clean, quiet and comfortablesubmitted by ANTHONY B. - Jun 12, 2015 |Recommended: YesThe building, the amenities and the staff. I have seen a slight change for the better in the tenants. That is a huge plus.